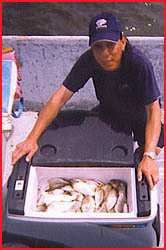 Mostly Rockfish are being caught now. The 40 to 50 inch Rock have started to show up. 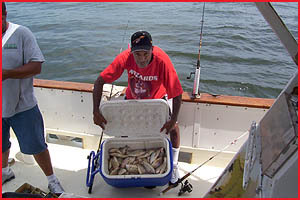 While Rockfish and Bluefish are being caught on every trip, the Spot, Croaker and Trout are scarce. 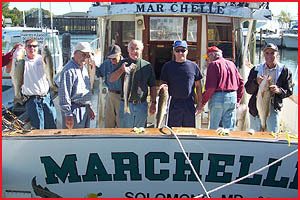 Spanish Mackeral have shown up down the bay and a few have been caught while trolling for Blues. 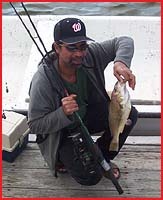 The bottom fishing has picked up. 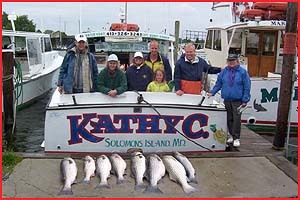 These two months are peak season for the Solomons area. 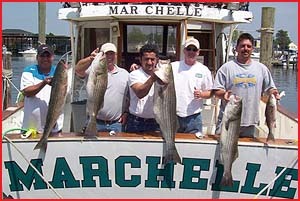 Our Charter Boats generally start the fishing trip by catching their limit of Rock Fish. 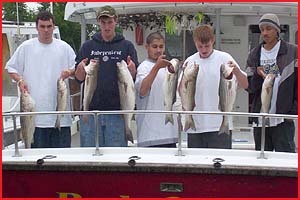 The fish currently being caught are in the 18 to 27 inch range. 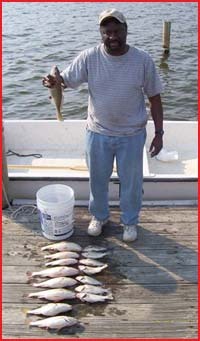 The rest of the fishing trip is spent bottom fishing for Spot, Croaker, and White Perch. 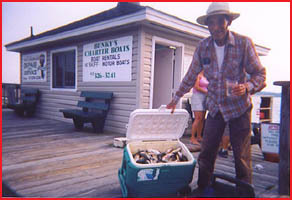 The Trout, Blue Fish and Flounder should be coming in soon. 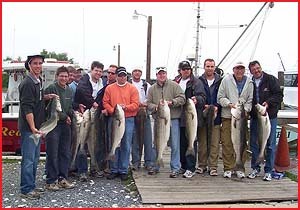 Our charter boats have continuously caught their limit of ROCK FISH through the Trophy season.They were a huge success as they measured from 33 inches to 48 inches in length. 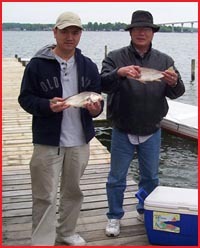 May 16 started the Rock Fish summer season when you are allowed two Rock Fish per person.They are not being caught as fast, but most of the fishing parties are catching their limits.The Rock Fish being caught now are running anywhere from 18 inches to 33 inches.